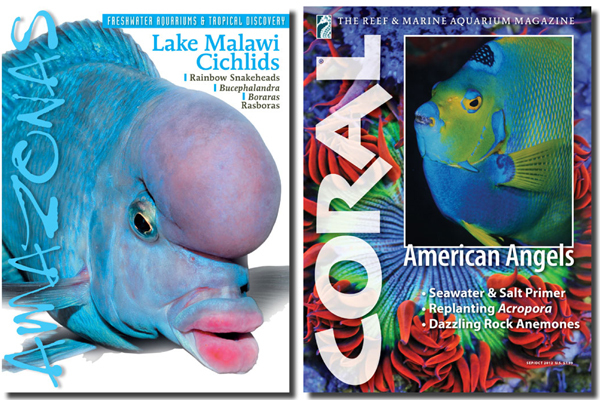 Looking to buy a copy of CORAL or AMAZONAS in a local aquarium store near you? Have a store and want to offer our magazines to your customers? Reef to Rainforest Media is a Vermont company, founded in 2009, and is the exclusive English-language publisher of the world’s leading marine-only and freshwater-only aquarium magazines. CORAL and AMAZONAS are distributed in the United States, Canada, the Americas, Europe, the United Kingdom, Australia, and South Africa — and read in more than 100 countries internationally in print and digital formats.